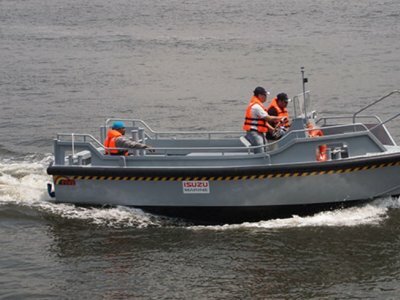 Demonstrator Vessel provided to the Indian Navy for Sea Trials available for immediate delivery. Aporo 50 hrs use. DATE LAUNCHED:	Demonstrator available for immediate delivery. 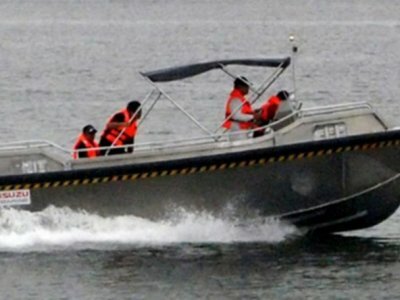 It was designed by Australian Marine Technology (AMT) as a high speed planning craft with a shallow draft, stability and fully welded sealed decks to the ruled of DNV GL High Speed Craft. 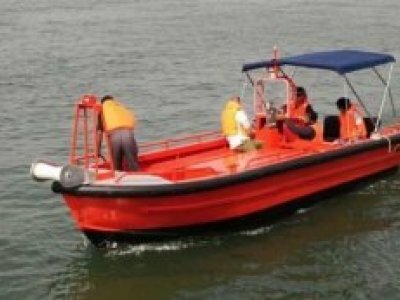 The vessel will be evaluated by the Indian Navy for utilization as a fleet Rescue Support Craft to be installed on the large fleet of Navy Sea going Patrol Craft. The all aluminum vessel is a locally produced product which supports the Government's policy - 'Make in India!' It has foam formed elastomer coated full fendering system designed and manufactured at the yard. 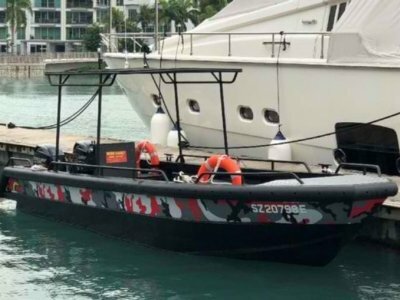 The propulsion package is a YANMAR 6LPA STP2 Engine driving Hamilton water jet which provides the performance, stability, shallow draft and within the strict weight tolerance required for installing on the larger patrol craft. 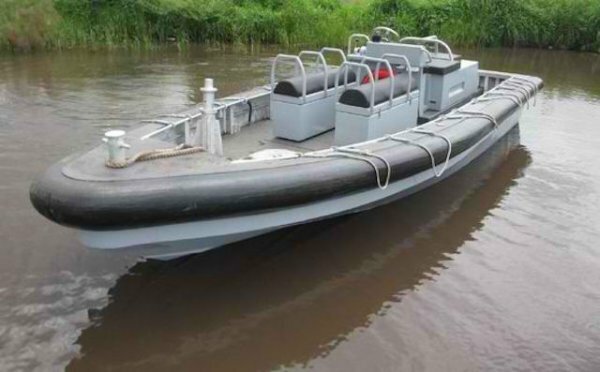 Secure jump seating for armed personnel, GPMG mount at forward makes the unit multipurpose with beaching easily achieved with the water jet drive system. Marine Frontiers is continuing its expansion with the vessels in construction of 27 and 37 metres nearing completion also for the offshore security defense sectors. The yard is an approved MOD - India shipyard operating under ISO 9000 certificate by DNV. Almost all of the Marine Frontiers vessels produced are export orders built to high international standards which are being confirmed by repeat orders from existing clients. The vessel developed now the Indian MOD will add to the existing impressive range of commercial crafts manufactured by Marine Frontiers.